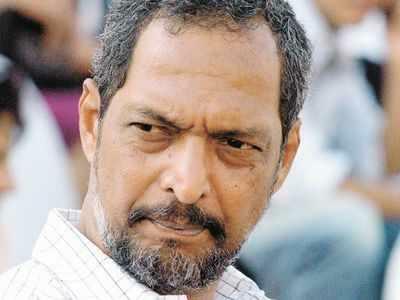 Home » Television News » Tanushree Dutta said Nana Patekar harassed her and what happened next was shocking! Bigg Boss 12 has been one of the most controversial yet favourite reality shows of the audience from the very first season of the show and the cherry on the top has always been the host Salman Khan. This time too he will be seen in the avatar of the host and the reports suggest that this season is going to be a 'vichitra' one that will super entertain the audience. The show is going to hit the small screens on September 16 that is just a week away. The host of the show Salman Khan during the show's launch event that took place in Goa instead of Mumbai gave us a hint that one of the popular heroines of her times, Tanushree Dutta, who rose to fame through her bold role in the film Aashiq Banaya Aapne opposite Emraan Hashmi will be a part of the reality show not alone but with her partner who will be her sister Ishita Dutta who was also seen in the popular film Drishyam. Tanushree Dutta put some serious allegations on the renowed actor Nana Patekar who has a great name in the Bollywood industry. She said that his presence during the shooting of the song made her really uncomfortable. Not only this, she even said that patekar tried to touch her inappropriately and so she denied doing any intimate scenes with him. Later she even filed an FIR against the actor but what happened was she was fired from the film and the song while Nana, in his favour said that she was like his daughter and since he was the leading man of the film, that is the reason why he was present on the sets. The song was given to Rakhi Sawant later upon whom Tanushree filed a complaint saying that a NOC was not asked by her. Well, this shocking incident completely changed Dutta's life and she was nowhere to be found but after 8 years she is now making a comeback through Salman Khan's reality show which might prove beneficial for her by giving her another chance to step into the entertainment industry. For more scoops related to Bigg Boss 12, stay tuned with us! ALSO READ: These weird old pictures of Bollywood celebrities will make you go WTF!